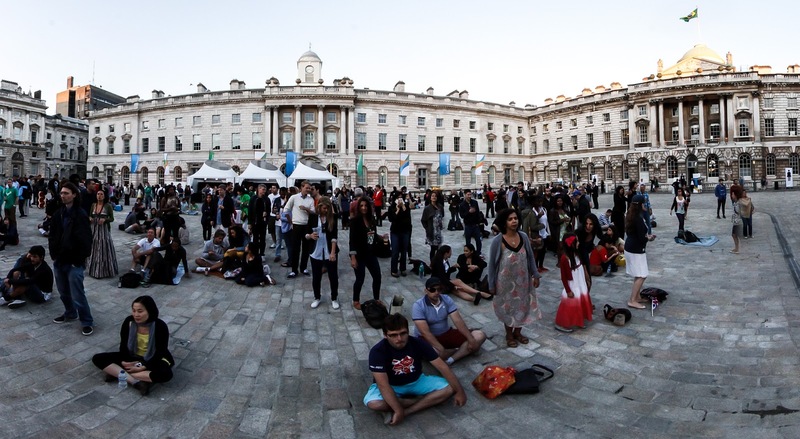 The cultural attractions set by the Rio 2016™ Organising Committee will continue this Monday at the courtyard in Somerset House, in the center of London. The brazilian happy hour will begin at 6:30 p.m everyday, until the 11th of August, and the attractions will end at 10 p.m. This Monday there will be more DJ's playing different brazilian rythms and band performances that will cheer up the public: Sargento Pimenta, Aline Stoffel & band and Aleh Ferreira. This Sunday hundreds of people came to Somerset House to check the brazilian attractions that took place at the courtyard.